Often, we crafters like to give Random Acts of Kindness to our crafty friends. Here's an easy way to brighten someone's day. 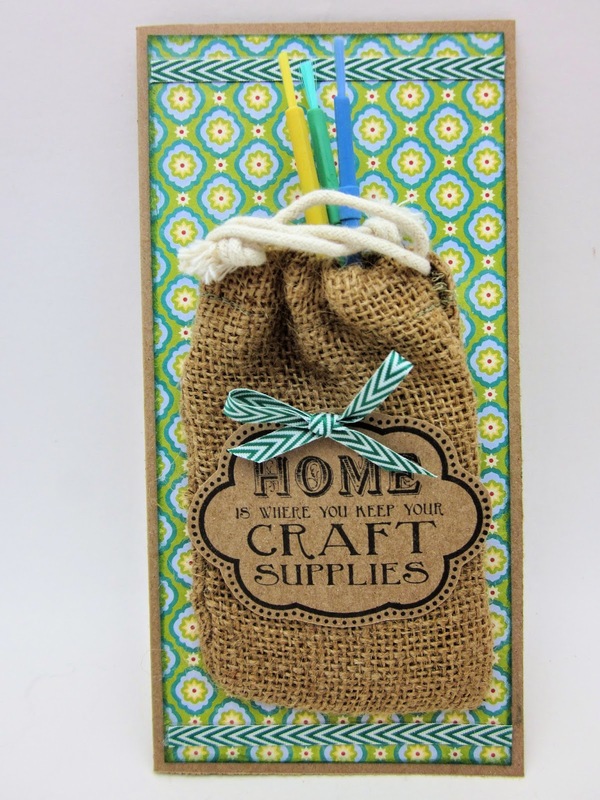 Attach the jillibean soup burlap bag, to the front of a card. Stamp the sentiment and attach and add a few paint brushes or other crafting goody into the bag.